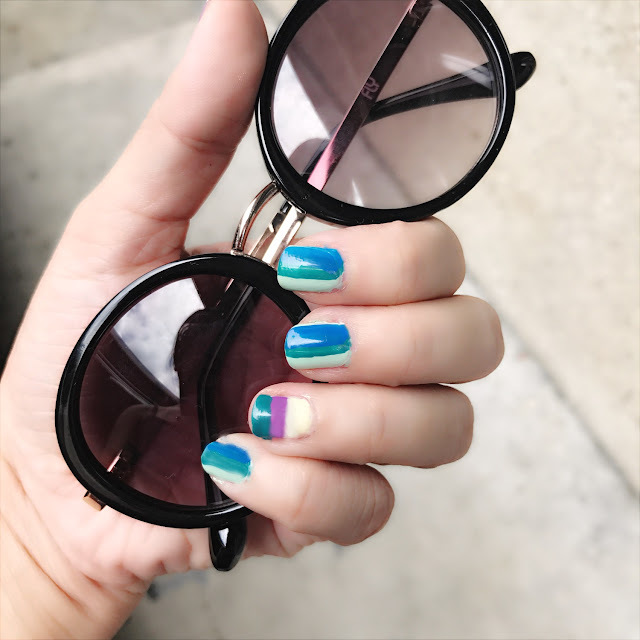 I haven't been doing Nail Art posts but that doesn't stop me from wearing nail polishes! I still do! I still have this "itch" to create nail art designs but it is put on hold due to my extremely busy schedule but there will always be special days like this....when my favorite nail polish brand launches their newest collection and the colors are screaming: "Nikki! Please use us all!" Trust me when I say, YOU CAN WEAR ALL THE SHADES IN ONE GO! I know I've been using the GirlStuff Nail Polishes for years now! Back when their logo aren't even like this! BUT, there are some changes that I notice and I have to say, I like the change! The polish are reformulated in a way that they are creamier and smoother to apply so you don't have to worry about "polish streaks". They dry pretty fast! I mean really fast! Even if I pile on 2 or 3 coats, it can dry faster than most brands. The shades from the Urban Jungle collection are wearable for ALL ages! I can see teenagers enjoying these shades but for someone who are more mature (like me!) I can actually wear them without looking like a "trying hard millenial". The polish lasts more than a week without chip! They hold onto my nails really longer than the old formulation. It is best to apply with Girl Stuff Nail Revive (a protective base coat) and Girl Stuff Fast Dry Top Coat. These are still priced affordably so you get good quality polishes at a very afforadable price! For more information and online shopping, visit www.girlstufforever.com. Follow them on Facebook (https://www.facebook.com/GirlstuffForever/) and Instagram (@Girlstufforever) for Nail Polish swatches and nail art inspirations. I love the teal (found myself) and bare necessities. But I now I love em all because I got so inspired by your striped nails. ahh that's my favorite shade! My all time fave is love me like you do but I have to check bare neccesities too. all the shades are so cute!